Crowns are a form of dental restoration that may be used for a number of different reasons. Also known as “tooth caps” or “dental caps”, crowns completely cover the tooth above the gum line. It is normally done to restore the shape of and/or strengthen a tooth, or cover a dental implant. Over the years crowns have become increasingly popular as they may also be used for cosmetic reasons. 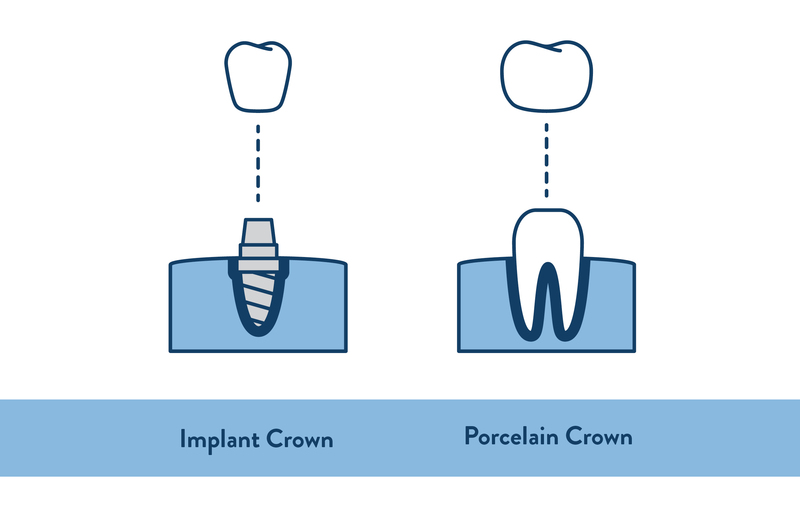 Crowns are generally made of ceramic material but commonly referred to as porcelain crowns. There are two types of crowns – tooth retained or implant retained. 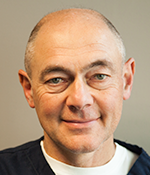 Both types of crowns are considered restorative but can be used for cosmetic reasons as well. At City Smiles all crowns we make are ceramic (metal free) and contain different ceramic compositions depending on the purpose of the crown. A dental crown may also be used to cover a discoloured tooth, provided that it is determined to be the best option. Our crown can be made from several different ceramic compositions depending on the desired function – to be stronger, more translucent, laminated, monolithic etc. Our dentists will discuss these options with you in order to help you decide which type is best for you based on several factors that include longevity, appearance and cost. Dental bridges are multiple crowns joined together; they may be used when a person is missing one or more teeth. They are used to “bridge” the gap and replace the missing teeth in order to prevent problems that may arise from having a gap. Bridges are cemented to the natural teeth or implants surrounding the empty space. These teeth, serve as anchors for the bridge. As with standard crowns, you have a choice of materials for bridges. Your dentist can help you decide which to use. Crowns and bridges must be created and moulded uniquely for each person and each tooth. At City Smiles all crowns are made at Andent – one of the largest dental laboratories in Australia. Andent is an Australian owned family business equipped with the latest technology, providing excellent standards in serving the dental industry for over 80 years. Andent is conveniently located at 20 Collins St in Melbourne, this allows us to communicate closely with the technicians to ensure that all of our crowns fit and look great. Why did my dental crown fall off? This could be due to a variety of reasons: from teeth grinding to tooth decay. If you are unsure of the reasons for your crown falling off, your dentist will be able to give you the answer. What must I do if I swallow my dental crown? You should phone a doctor immediately! An x-ray will be able to determine that the crown has gone down the digestive tract and not the windpipe. Can I put my crown back in place at home before I visit the dentist? No, you should not attempt to do this. Instead, if you have your crown, keep it in a safe place and allow your dentist to glue it back in place for you. My crown fell out and I cannot find it, now what? This is not a major problem. If you cannot find your original crown, you will simply have to purchase another crown to be fitted. Is getting a dental crown painful? The tooth being restored is numbed so that you will not feel pain during the crown preparation. After the procedure is over and the anaesthesia has worn off, you may feel some sensitivity with the temporary crown or some soreness in the gums around the tooth. The pain is very minimal though and should subside after a day or so. Dental crowns should last on average from 10 to 20 years. Crowns are still subject to fracture and cavities, so it is important to take extra care in brushing and flossing around crowned teeth to prevent them from needing replacement too often. Can I get a dental crown during pregnancy? It is sometimes best to wait until after pregnancy for elective dental procedures to minimise stress on both the mother and baby. Getting crowns is often the result of a sudden fracture or other unavoidable situation though, and treatment may need to be immediate. The materials used for crowns are all safe during pregnancy, so when necessary, it is possible to get a dental crown during pregnancy. Taking good care of your oral health will make your crowns and bridges long term restorations. Regular dental check-up visits with City Smiles in Melbourne will also maintain the longevity of your crowns and bridges. Would you like to share your smile with us? Upload your treatment plan or x-ray.